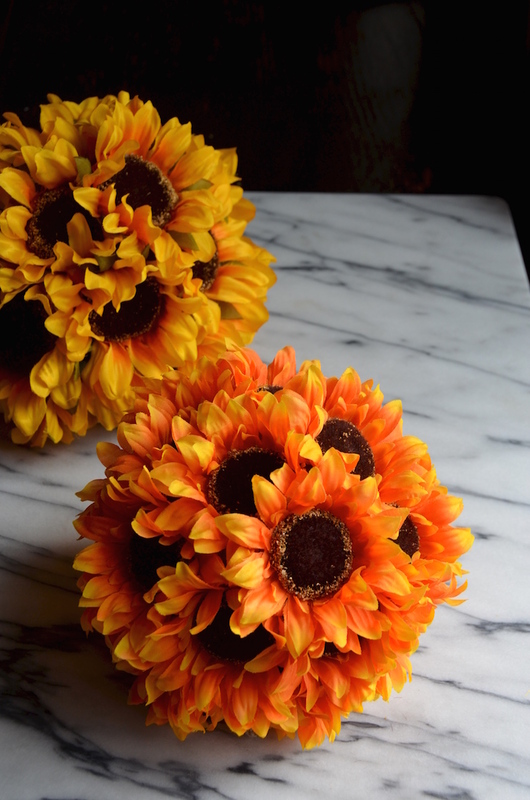 I shared a sunflower version of this idea on the TODAY Show this morning, since we were celebrating the (unofficial) start of Fall, but feel free to swap different flowers depending on the time of year. Marigolds would be perfect for Dia de los Muertos, green trick dianthus would be super cute for St. Patrick's Day, while roses would be beautiful for Valentine's Day. 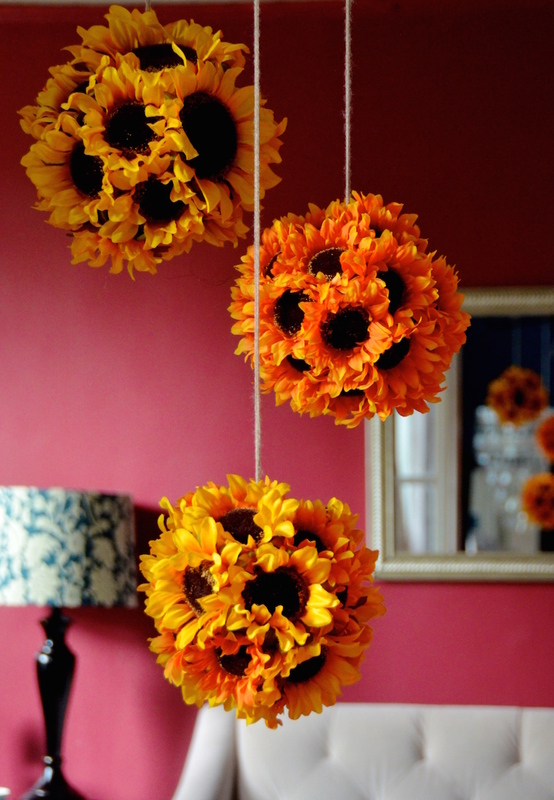 A mix of brightly colored flowers would be fun for a birthday party or baby shower. 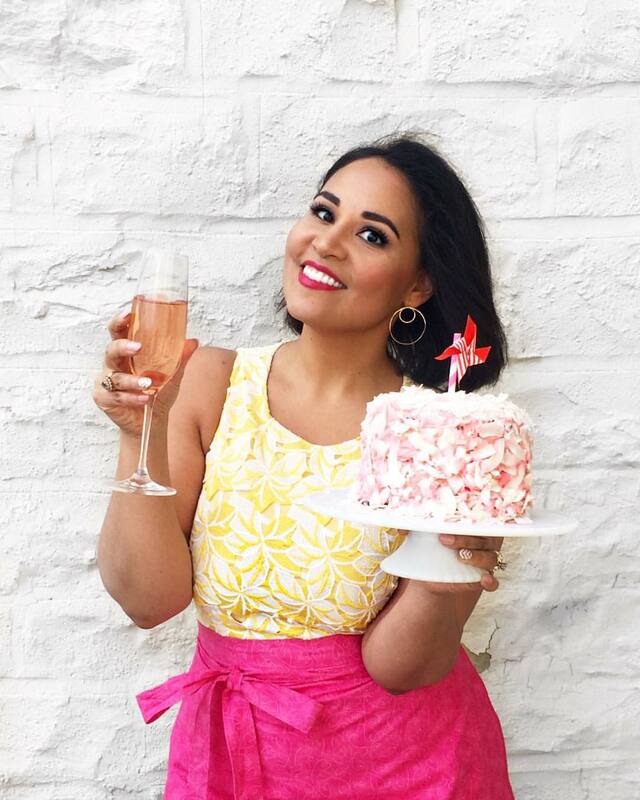 Here's how you make them (scroll down to bottom for the full directions all together)! Start out by wrapping a couple yards or twine around styrofoam ball 2-3 times and tie to secure. This will be the string you'll use to hang your pendant. Push the stem of one flower through the string into the foam to lock the string in. Push remaining flowers into foam ball, covering entire ball. 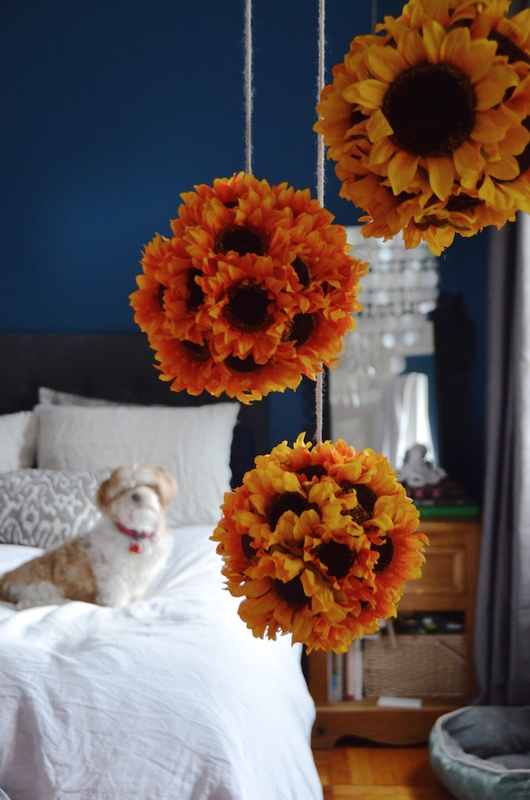 Use silk sunflowers and a styrofoam base to create a simple, bright, and festive Fall-themed decoration perfect for hanging above a dining or buffet table. 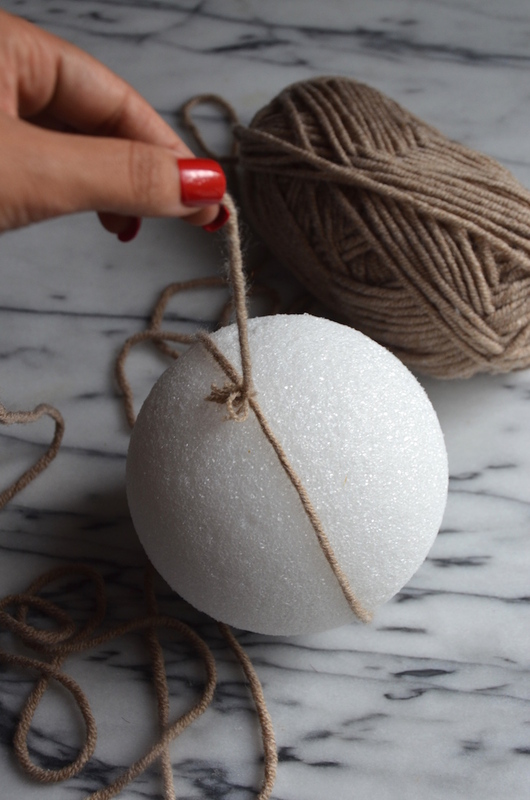 Wrap end of yarn or twine around styrofoam ball 2-3 times and tie to secure. Use wire cutters to snip sunflowers off bunch maintaining about 11/2 inches of stem. Push the stem of one flower through the string into the foam to lock the string in. 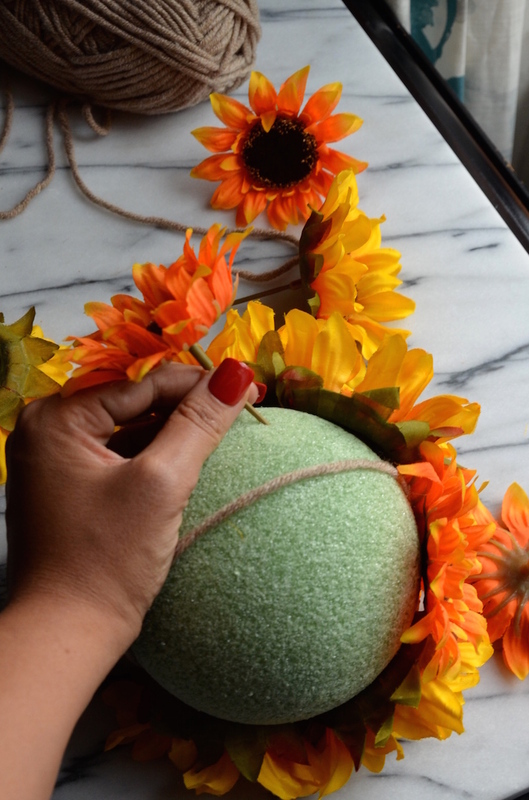 Push remaining flowers into foam ball, covering entire ball. Use string to hang as desired.